It was perhaps the strangest budget season in Penn’s Woods since King Charles, II granted William Penn a charter to establish a colony in the New World. The end came relatively quietly with the General Assembly passing a variety of gimmicks aimed at plugging a $2.2 billion budget hole of their own making. The only good thing that can be said about the 2017-2018 budget process is that it didn’t take until April of next year to resolve. Recall that in Governor Tom Wolf’s first year in office it took that long for the budget due by July 1st of the previous year to be enacted. The same dynamics that resulted in that historically long budget battle were at play this year: a governor who never met a tax he didn’t want to hike and a Republican-controlled state House that fought to the end to block tax increases. Add in a Republican state Senate majority that acts more like tax and spend Democrats than Republicans and the formula for gridlock is complete. Candidates for public office often pledge to “run government like a business” or at least abide by sound business principles. That certainly did not happen this year. Such is the collective opinion of the business owners and Chief Executive Officers who participated in the Fall 2017 Keystone Business Climate Survey conducted by the Lincoln Institute of Public Opinion Research. A lopsided 91% of the owners/CEOs surveyed said they are unsatisfied with state government’s budget process. Fueling that negative perception, perhaps even more than the inability of the governor and legislature to get the budget done on time, is the manner in which this year’s budget process played out. It had one unique feature: the spending plan was adopted with no revenue component in place. That cast in stone the spend number and forced the conversation away from cutting spending thus placing the entire focus on how to come up with enough revenue to fund the budget. Respondents to the Lincoln Institute survey were generally supportive of missing the budget deadline to hold the line on taxes, but 94% disapproved of adopting a spending package without simultaneously passing a revenue package. And so it was that from the beginning of July until the end of October lawmakers and the governor battled over how to fund the revenue gap. 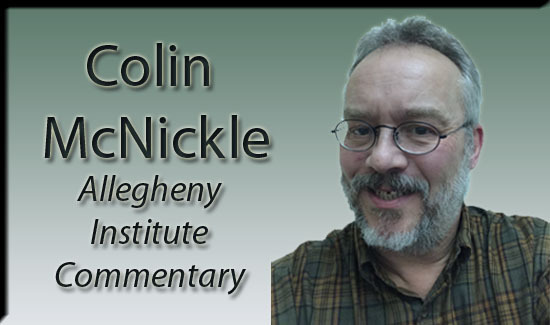 Predictably, Governor Wolf pushed for tax hikes including his never-ending quest to add a fourth layer of taxation on the state’s Marcellus shale gas industry. House Republicans dug in their heels and produced the only truly innovative approach to raising revenue. They actually spent the summer digging through the state’s finances coming up with hundreds of millions squirrelled away and left unused by various agencies. The final revenue plan included using some $300 million in such revenue. But, the quest for revenue resulted in a move even more harmful to the state’s fiscal condition than tax increases. Senate Republicans originated a plan to borrow money from future tobacco fund settlement payments to help plug the deficit. Not only will taxpayers pay interest on that loan, but it deprives future state budgets of such revenue. Asked about that, the owners/CEOs participating in the Lincoln Institute poll voiced strong disapproval: 83% thought such borrowing was a bad idea. One reason for this year’s large budget deficit was dependence the past two years on revenue from sources not currently in existence. That revenue, especially from gaming expansion, never materialized. No lesson was learned from that experience. Lawmakers voted to expand gambling by legalizing slots in a variety of public venues and authorizing the establishment of mini-casinos. None of those currently exist, but revenue from such sources is booked to help fund this year’s budget. The legacy of this messy budget season will not only be making Pennsylvania’s finances even more precarious, but it sets up what could be a politically volatile budget fight next spring. The governor, half of the state Senate and all of the state House are up for election in 2018. Nothing was done this year to address Pennsylvania’s spending problem, and the funding component is just smoke and mirrors. When the smoke clears, the budget problems will remain and voters will be watching.